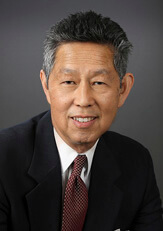 Howard L. Wu | Fafinski Mark & Johnson, P.A. Howard has more than 40 years of general corporate, finance, securities, equipment leasing and commercial law experience, including four decades in the aviation industry. Howard’s extensive experience in the legal industry means he understands and appreciates what his clients and in-house counsel are looking for in an attorney – trust, responsiveness, efficiency, and value. He has represented Fortune 500 companies and privately-held companies, start-ups, airlines, airframe manufacturers, equipment leasing companies and private-equity firms, both as in-house and outside counsel. In addition, he has held the non-legal positions of General Manager/Regional Vice President of Aircraft Trading Contracts and PRC Contracts Groups, respectively, and Director of the Airline Finance Group of McDonnell Douglas. Prior to joining Fafinski Mark & Johnson, Howard was Managing Director and Associate General Counsel of US Airways. As the chief transaction attorney for US Airways from August 1997 to April 2005, he was responsible for corporate finance, securities, aircraft acquisitions, financing and dispositions, mergers and acquisitions, debt and lease restructurings and workouts, and he played a leading role in both US Airways’ bankruptcies. It’s Howard’s belief that when dealing with multi-million dollar transactions, you rely on building strong, collaborative relationships. “After all, it is a very small world. Not only will you repeatedly come across people with whom you have negotiated transactions in the past, but it is not at all unusual for the person on the other side of the table one day to end up on your side of the table another day, and vice versa. That is why one’s reputation for integrity, professionalism and competence is incredibly important. Howard lives in San Francisco, California. He enjoys skiing in Colorado, bicycling, traveling, and good food and wine. Howard is a diehard SF sports fan, and he is much happier now that the Warriors and Giants are competitive once again.